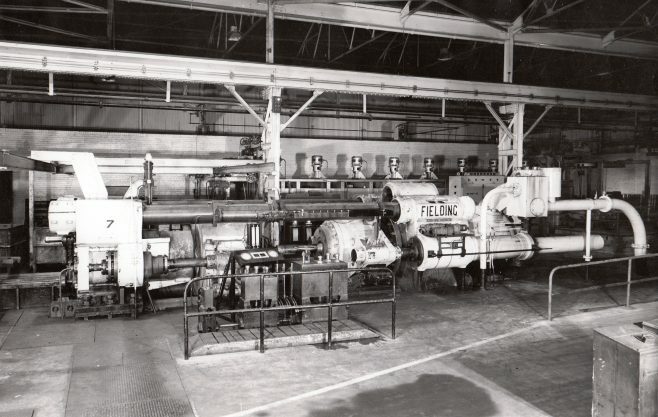 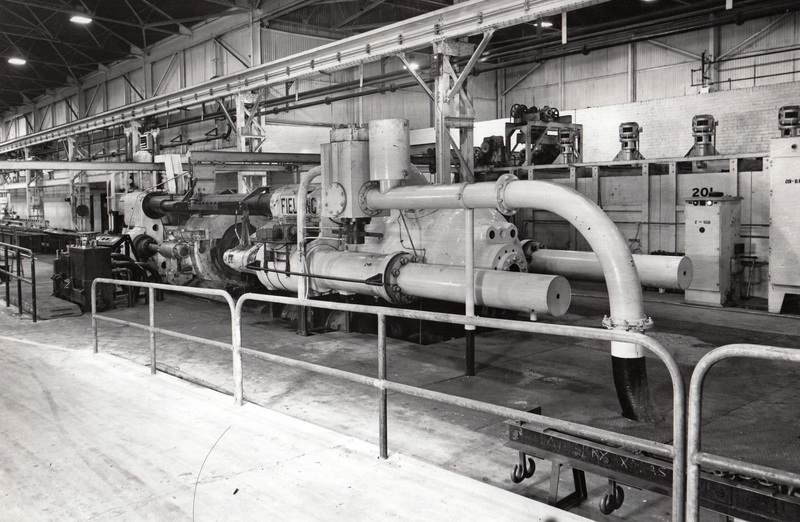 Installed in No.1 (Main) Plant. For manufacture of solid aluminium extrusions. Equipped with 150 ton vertical shear, working pressure 3500 psi from a centralised 400 gal capacity air/water hydraulic accumulator station, also supplied by Fielding & Platt. 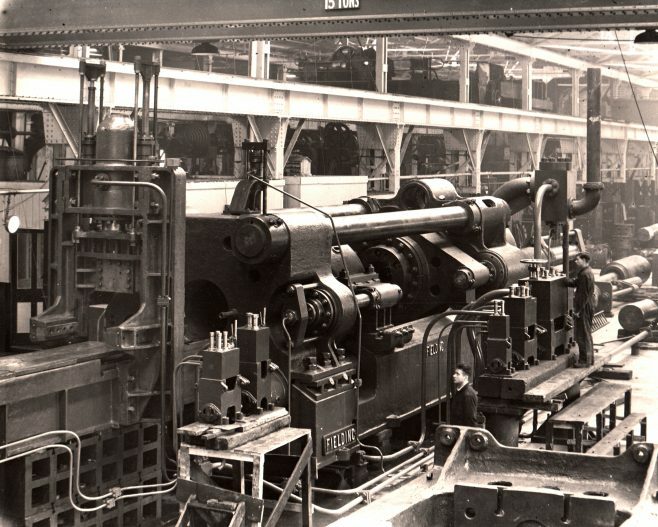 (The initial erection of this press was undertaken in Bay 3 of Hydraulic 1). 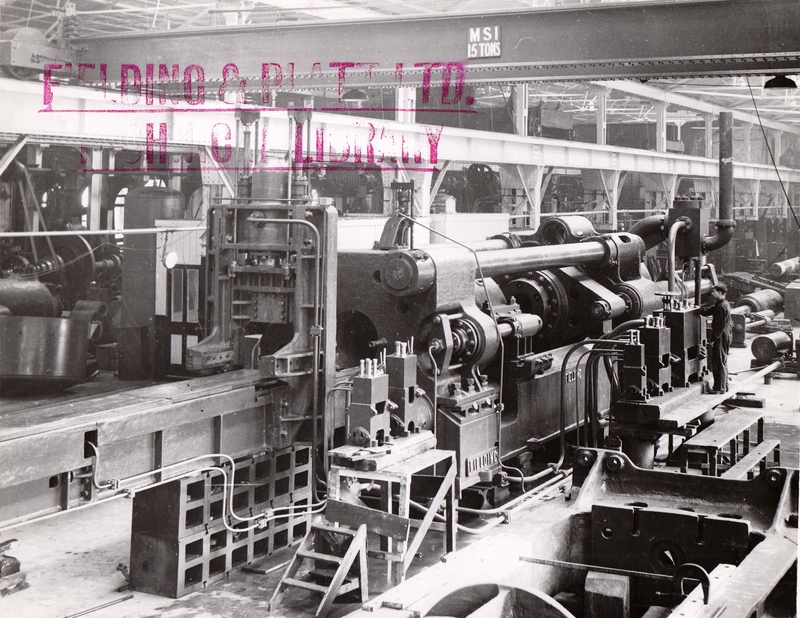 The quality second photograph illustrated was located in 2018 from a batch of early photos, scanned and added to the page.